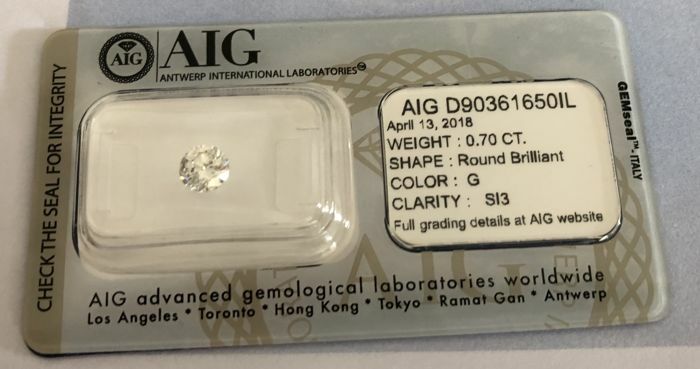 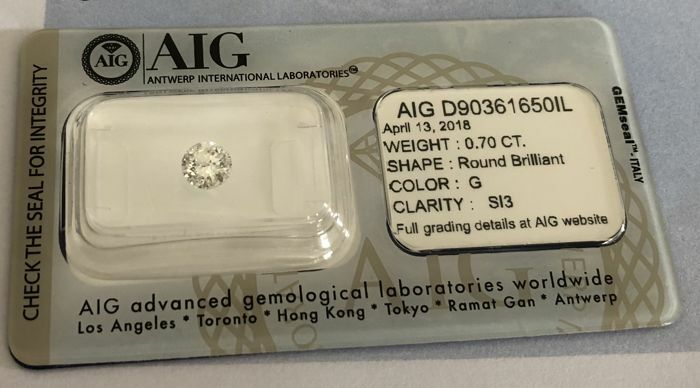 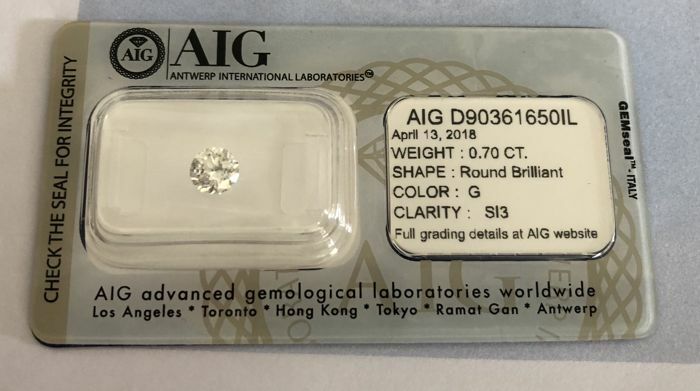 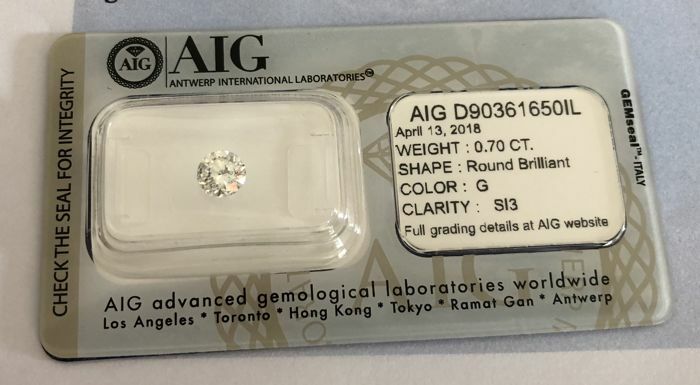 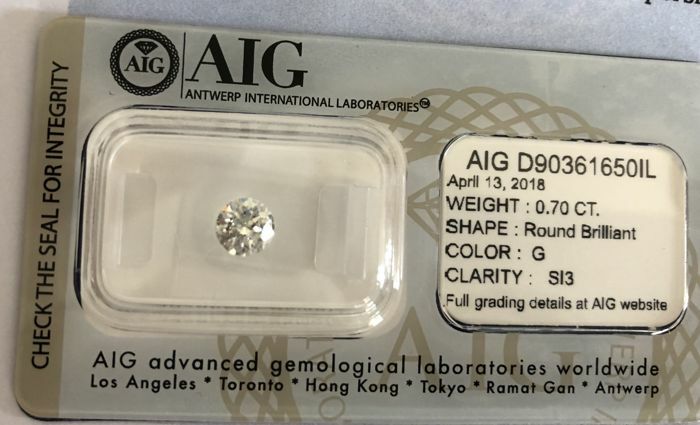 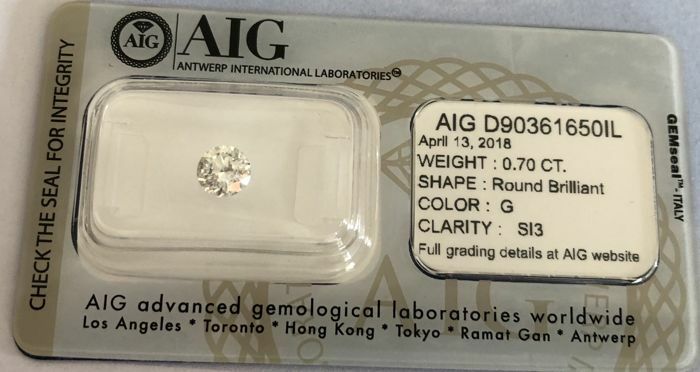 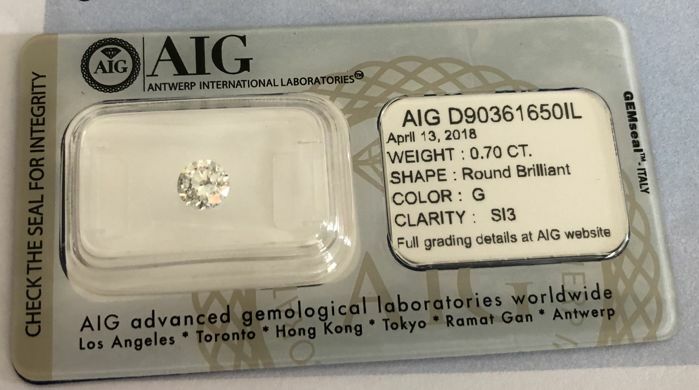 This stone is fully graded by AIG but the paper certificate is not included in the shipment and can be downloaded at http://www.aiglaboratories.com by entering the certificate number. 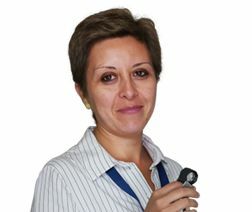 Be very careful whit this seller !!! 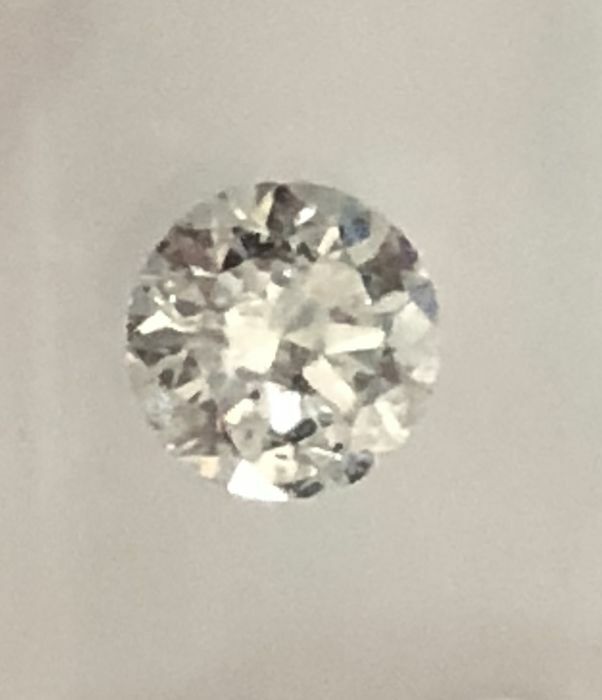 After I paid 3400€ for a brilliant one . 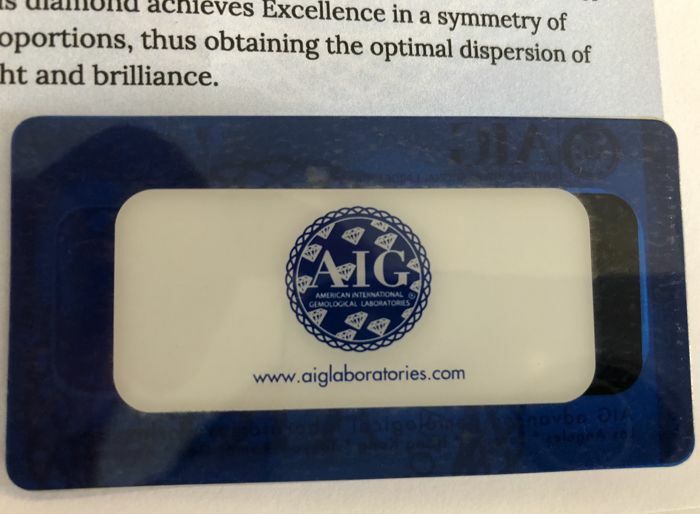 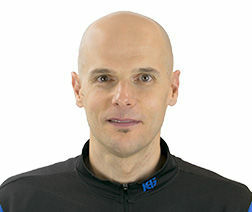 I receive the brilliant without any documentation . 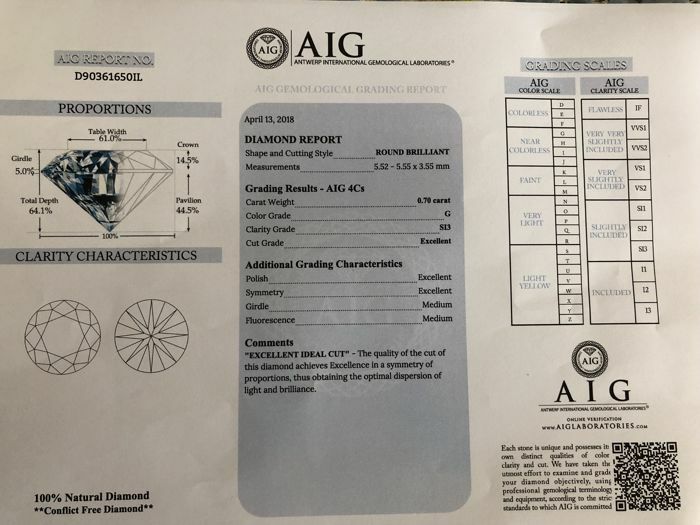 you have to read all the information I wrote to you in the inscription this certificate not including and you didn’t read it’s your mistake not my. 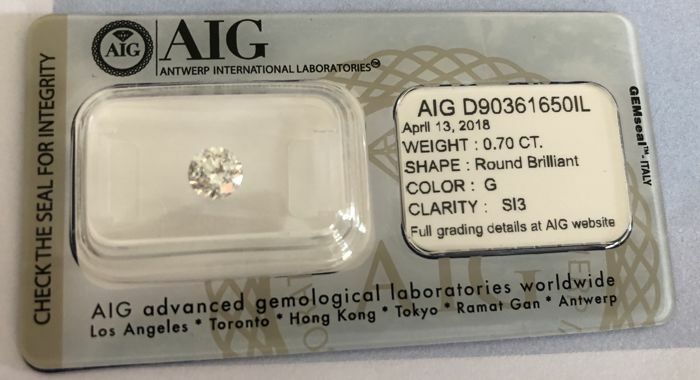 I shipping very quick . 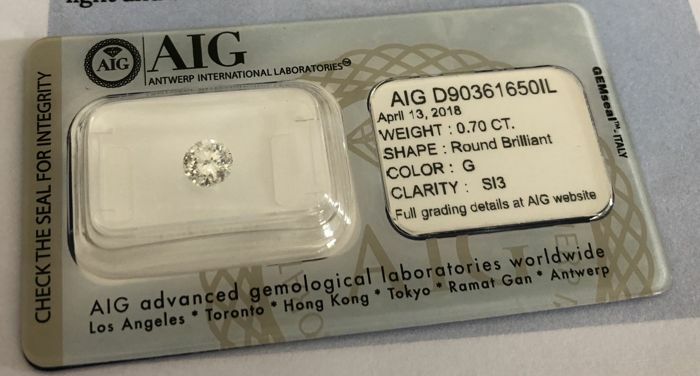 I hope to see you buy again from me. 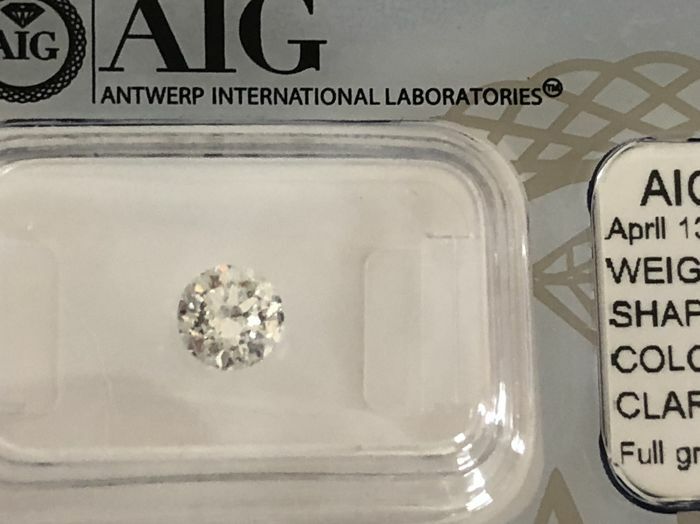 Le diamant de 2,2cts estimé par l’expert à 12000€ s’avère être une pierre banale d’une valeur de 2000€ maximum (payée 3100€+ les frais+ la douane).!! 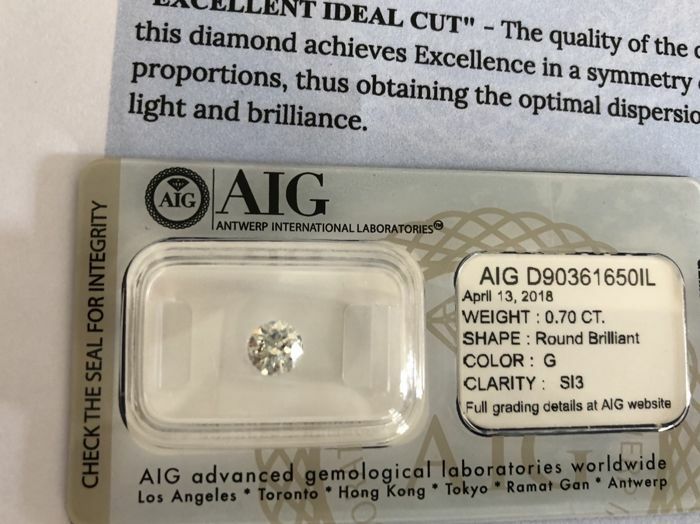 Very smooth and pleasant transaction.